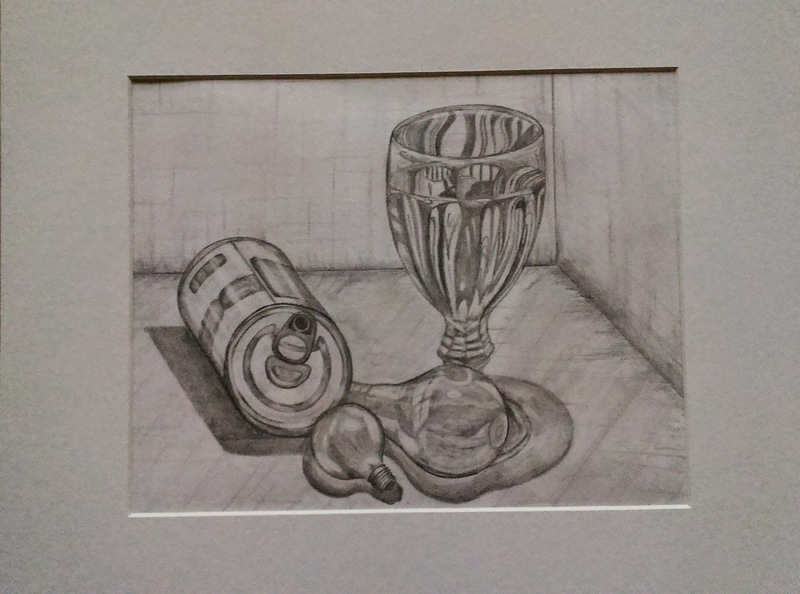 I did two of my summer projects in pencil and both were of reflective objects. I used to not like doing all the highlights because I didn't like the way it turned out but now since I have practiced highlights over and over again, its one of my go to project ideas. I learned that if ignore how I "think" how its supposed to look and just draw exactly what I see, then it turns out to look more accurate. I really liked these two pieces because in top one, the metal of the can has a lot of contrast and the reflections in the light bulb are windows. 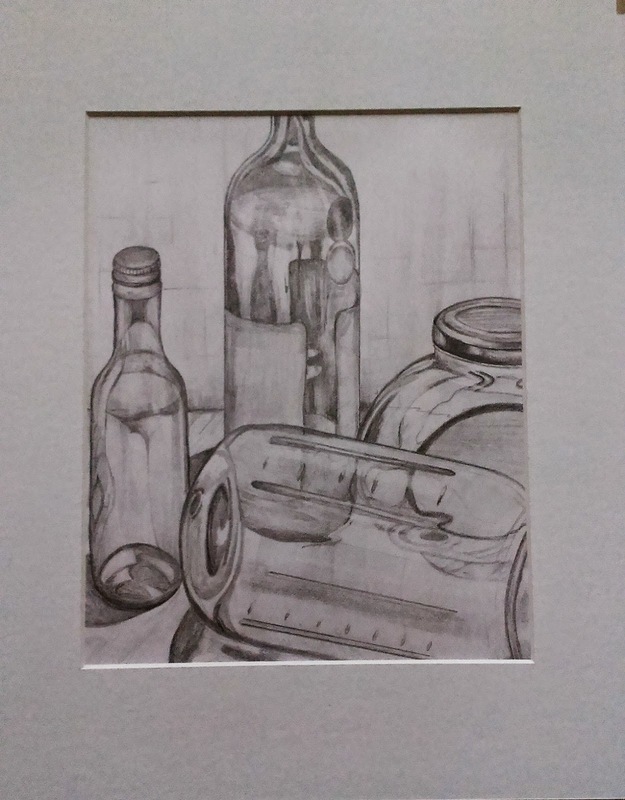 The bottom one is all glass bottles and jars, and I had a lot of fun drawing the lights and the darks while also capturing the warped look of things through the glass. I think my favorit part of that one is the jar in the back through the front jar because of the warped lines.